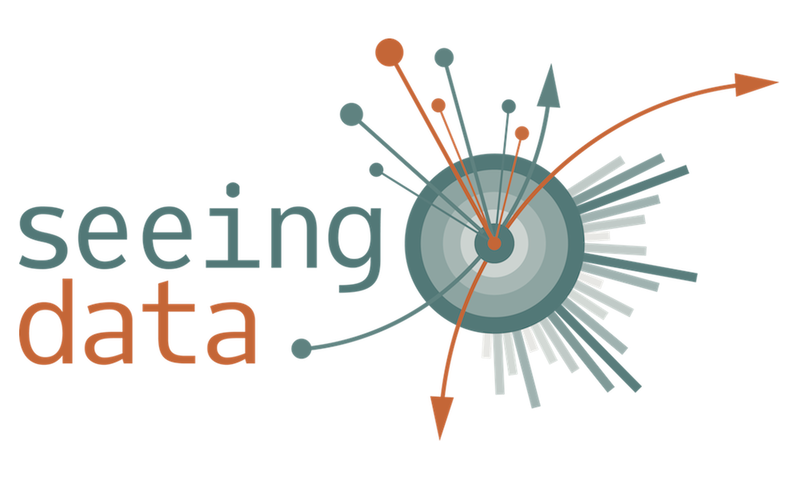 This is the first in a series of three blogposts about the Seeing Data project. The first post is guest written by Helen Kennedy, Professor of Digital Society at the University of Sheffield and director of Seeing Data. Part one discusses some of the findings and what this means for how we think about ‘effective’ visualisations. The next two posts will focus on our ‘talking mats’ method (part two) and what our findings mean for visualisation designers (part three). Part 1: What we found and what this means for how we think about ‘effective’ visualisations? We ran nine focus groups around the UK with a total of 46 participants, most of whom kept a diary for the week prior to their focus group, detailing their encounters with visualisations in their daily lives (excluding work). We showed them these eight visualisations in the focus group - here is an explanation for how we chose them. Seven of our participants kept a visualisation diary for a month after the focus groups, and we interviewed them about their diaries at the end of the month. Two points stand out from our research: the profound way that a range of social, human factors affect people’s encounters with visualisations, and the importance of emotions when engaging with datavis. Subject matter: Visualisations do not exist in isolation of the subject matter that they represent. When subject matter spoke to participants’ interest, they were engaged; when it didn’t, they weren’t. "I didn’t like what the topic was. What was the point?" Source/location: The source of a visualisation is important: it has implications for whether users trust them. When visualisations were encountered in already-trusted media that participants view or read regularly, they were more likely to trust them. "You see more things wrong or printed wrong in The Sun I think (said one participant who usually reads The Daily Mail." Beliefs and opinions: Participants trusted the newspapers they regularly read and therefore trusted the visualisations in these newspapers, because both the newspapers and the visualisations fitted with their views of the world. But it’s not just when visualisations confirm existing beliefs that beliefs matter. Some participants liked data in visualisations that called into question their beliefs, because they provoke and challenge horizons. So beliefs and opinions matter in this way too. "It was surprising, it was something I hadn’t even thought of and it was like, ‘Wow!’. […] it was something I didn’t expect." Time: Engaging with visualisations can be seen as work, or laborious, by people for whom doing so does not come easily. Because of this, having time available is crucial in determining whether people are willing to do this ‘work’. "Because I don’t have a lot of time to like read things and what have you, so if it’s kept simple and easy to read, then I’m more likely to be interested in it and reading it all and, and you know, to look at it, have a good look at it really." Confidence and skills: Participants needed to feel confident in their ability to make sense of a visualisation, in order to be willing to give it a go. This usually meant feeling confident that they had some of these skills (which many participants doubted). Language skills, to be able to read the text within visualisations (not always easy for people for whom English is not their first language). Mathematical or statistical skills, for knowing how to read particular chart types or what the scales mean. "How would you know what that is and what all this is unless you’ve got a certain level of maths skills or English skills as well?" Visual literacy skills, for understanding meanings attached to the visual elements of datavis. "It was all these circles and colours and I thought that looks like a bit of hard work; don’t know if I understand." Computer skills, to know how to interact with a visualisation on screen, where to input text, and so on. Critical thinking skills, to be able to ask what has been left out of a visualisation, or what point of view is being prioritised. Of course, visual elements, style and arrangements also played a role in determining whether participants felt engaged with the visualisations we showed them. These sometimes appealed to participants, but sometimes they were deemed unfamiliar and off-putting. "It was a pleasure to look at this visual presentation because of the co-ordination between the image and the message it carries." "Frustrated. It was an ugly representation to start with, difficult to see clearly, no information, just a mess." During our interviews with month-long diary keepers, we asked what these participants remembered about the visualisations that they had seen during the focus groups. We were struck by the fact that none of them could remember any specific data from the visualisations they looked at there, but they could remember the overall impressions that the visualisation made and, importantly, the way that the visualisations had made them feel. Again, this shows the importance of emotions in engaging with data through visualisations. This might all seem like common sense, but these are things that don’t get talked about much amongst visualisation designers and researchers. The challenge for such folks is how to translate these findings into practice and research – Andy will say more about this in one of the next two Seeing Data blogs. I’ll end this one with some reflections about what our findings mean for how we should define effectiveness in relation to data visualisations. Provoking a strong emotional response. We aim to publish a longer article which says more about our findings in the next couple of months. Follow @visualisingdata or @seeing_data to find out when it’s out! Enjoyed that, thanks! Looking forward to the next two. I wanted to mention/wondered if you’d seen another analysis it made me think of that Amanda Cox (New York Times) did, an assessment of the ‘visualization qualities’ of 400 of their most popular graphics. There was some overlap with your findings: emotion and surprise were in the top five, having a clear takeaway message wasn’t.